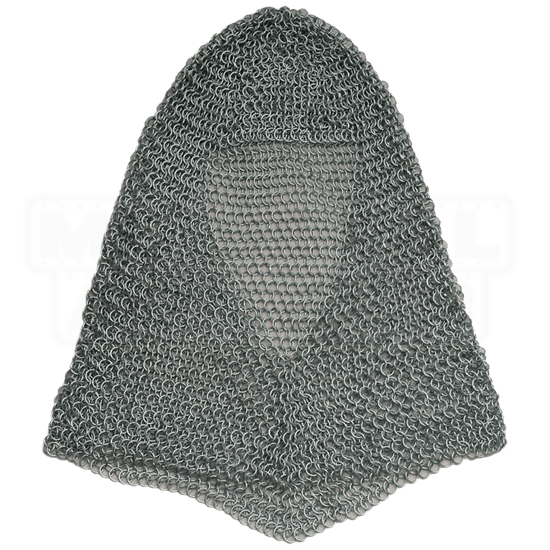 Give your head the protection it deserves with this Silver Butted Chainmail Coif. 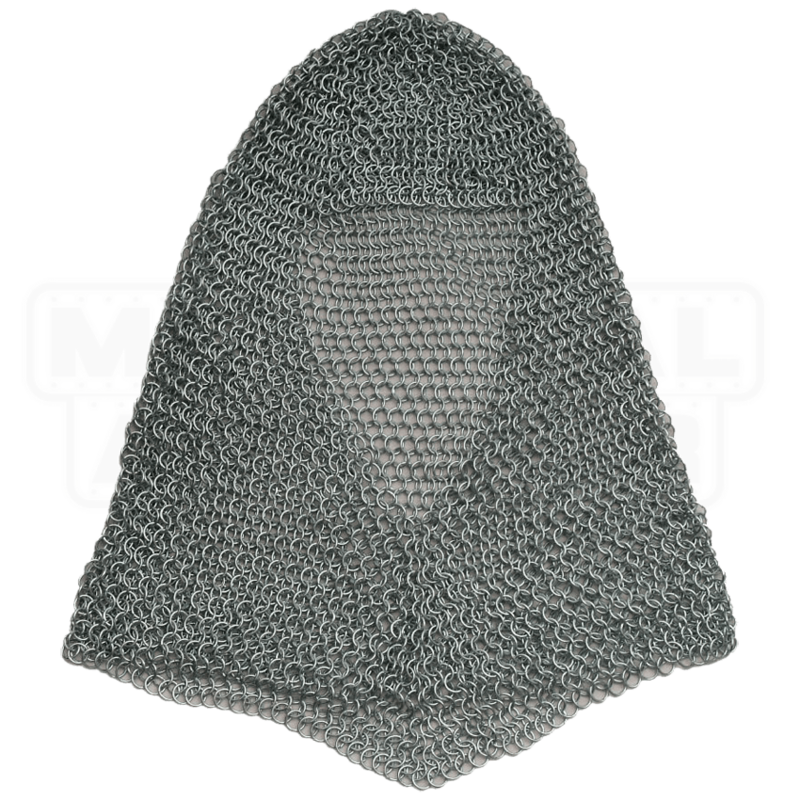 This medieval head armor provides a comfortable, authentic appearance for any medieval outfit. It is constructed with 16 gauge round mild steel. The silver chainmail coif is made using butted rings. Butted mail is the most economical construction style of mail and has limited historical precedent. It is fine for general costuming and roleplaying use, but is not recommended for weapons-contact reenactment.